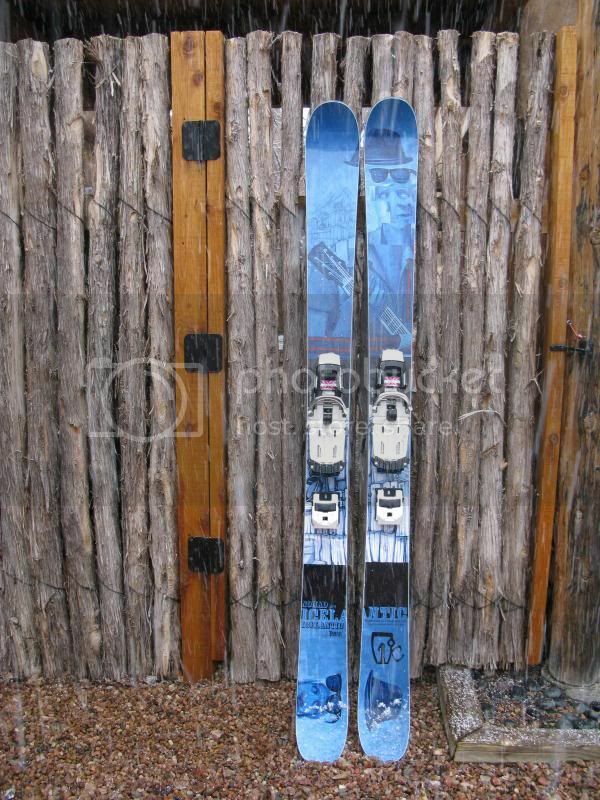 2011/2012 Icelantic Nomad SFT, 168s, w/groovy Blues Bros. graphics. Skied around a dozen days, no significant base damage, just some superficial scratches, edges fine. No chips in the topsheets, closer pictures available on request. Drilled one time for large NTN Freerides (metal mounting plate, blue tubes), 307 bsl. The only sign of wear on the bindings is some scratching on the closing throws where I kicked them closed. Published dimensions are 140/105/130, but the waists are actually 110. $400 local pickup, will consider selling skis and bindings separately.